A central question to autism research is whether autism is largely the result of an impairment in social cognition and/or motivation or the result of a more general processing difference. 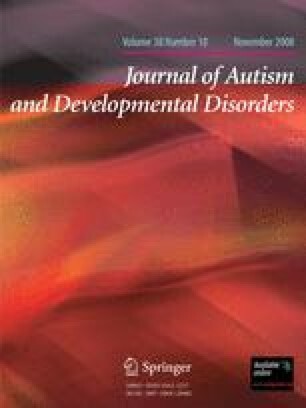 This review discusses problems with the “social deficit” model of autism spectrum disorder (ASD). It is suggested that superior attention to low-level perceptual information potentially coupled with decreased attention to global information may provide a more comprehensive explanation for atypical social behaviours in ASD. This processing style may reflect increased activation of occipital-temporal regions and reduced functional (and possibly anatomical) connectivity. It is concluded that atypical social behaviours in ASD are more likely to be a consequence reflective of a general processing difference than impairment in social cognition and/or motivation. Kate O’Connor would like to thank all the individuals with autism and AS she has met for their openness and insight which motivated her to write this review. Also thank you to Ian Kirk for his financial support and Joss O’Connor for editing an earlier version of the manuscript.